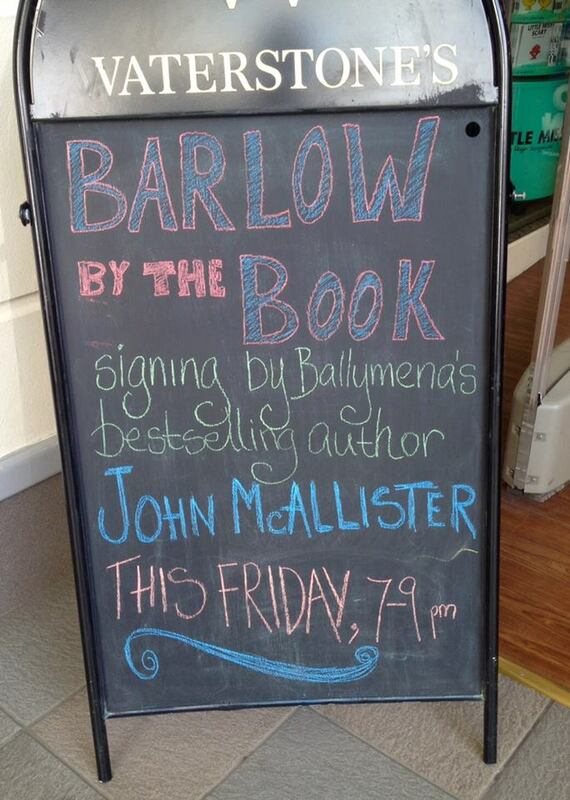 Waterstones in Ballymena is set to host local Ballymena Author John McAllister this Friday night. John is the writer of Ballymena bestseller The Station Sergeant and is returning with a book that we are sure will be equally successful. This Friday 2nd October from 7pm. 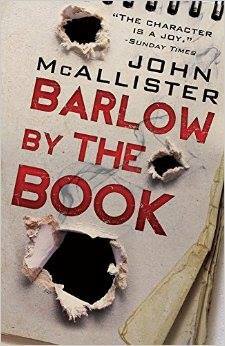 Local author John McAllister will be here to officially launch his new book ‘Barlow by the Book‘, the second in a series about a Ballymena police sergeant. If you have read John’s first book then you will be keen to find out more about the Ballymena based bobby! His first book, The Station Sergeant, is a crime novel set in Ballymena where author John was born. Set in 1959 and 1960 the book introduces John Barlow, the new Station Sergeant in the town. This is a thrilling crime novel with twists, turns, murder and even cattle stealing! This book has captured the interest of many local folks who grew up in the 1950’s and 60’s and we are sure that the latest instalment will receive and equally enthusiastic reception. Waterstones stock lots of books which are of local interest. If you are from Ballymena or know someone who is interested in our town then here are a couple of other books which we would recommend. Author Nicola Pierce recently visited the Waterstones Store in Ballymena to talk with school children about her book “The Spirit of the Titanic”. Pierce has also written a wonderful book called “Ballymena: City of the Seven Towers”. The book details key events, as well as the lives of Ballymena’s many famous sons and daughters. It contains information on a wide-ranging list of topics: from its numerous links to the American presidency to the achievements of the town’s sports teams and athletes; and the industrial heritage that established Ballymena as an important centre of commerce. This is a must have for any local historian! ‘Along the Ravel and Clough Water’ by Felix McKillop from Glenarm has in the past been at the top of the Waterstones Ballymena bestseller chart for many weeks. The book examines the history of Glenravel, Clough, Newtowncrommelin, and Rathkenny – all located a few miles NNE of the town of Ballymena in County Antrim. Find out more about this book and his other work at the Felix McKillop Website. Waterstones know that as the dark night close in there is nothing better than snuggling up with a good book. We love their latest promotional material which features a very cute cartoon. So make sure that you warm up with a good book form Waterstones this Autumn. If you don’t know where to start then head in on Friday night and pick up Barlow by the Book by Ballymena’s very own John McAllister, and you can even get it signed.